Isha Vidhya impacts not just the students, but their parents, teachers and everyone involved in the schools. Over the course of this series, we will present you with the insights and experiences of an Isha volunteer intent on sharing the voices of Isha Vidhya. Part five shares the stories of transformation from parents and school supporters. A truly inclusive school where children of security guards, cleaners, teachers, principal, and the land donors study together with seamless harmony, joy and a sense of giving! I visited the school on the 23rd of September; Sadhguru’s Enlightenment Day. As soon as I entered the school, I was led to a room where we Guru Pooja was about to happen. The room was lit by the flames of many oil earthen lamps, and the fragrance of freshly offered flowers created a dreamlike ambiance of sacredness. I was in a trance for a while after the offering, feeling immense gratitude. Later, I learnt that the Ayamaas, who clean the toilets and other areas, are also the ones who take care of this particular room used for celebrating Indian festivals. Today, they had done the entire decoration and it had beautifully reflected their feeling and reverence. The inclusive atmosphere of Isha Vidhya School is well depicted in the way the school helpers are treated. These Ayamaas who keep the place clean, cook the mid-day meal, and also help setting up in class come from neighboring areas. Their children study in this school alongside the children of well-to-do families without experiencing even subtle discrimination. Their involvement with the school is such that many children go to them for blessings for their exams before they even go to their teachers. Two of these ayamaas cooked three meals for over 30 children who were boarding in the school for six months to prepare for their board exams, pro bono. These six months included their vacations also. 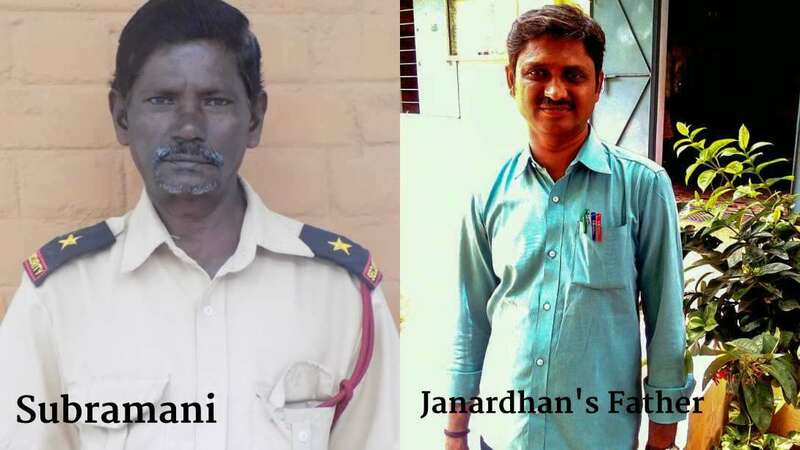 “Isha saved my life!” said Kumar, one of the Isha Vidhya security guards, who almost lost his life in an accident and was saved by the generous contributions of Isha volunteers. 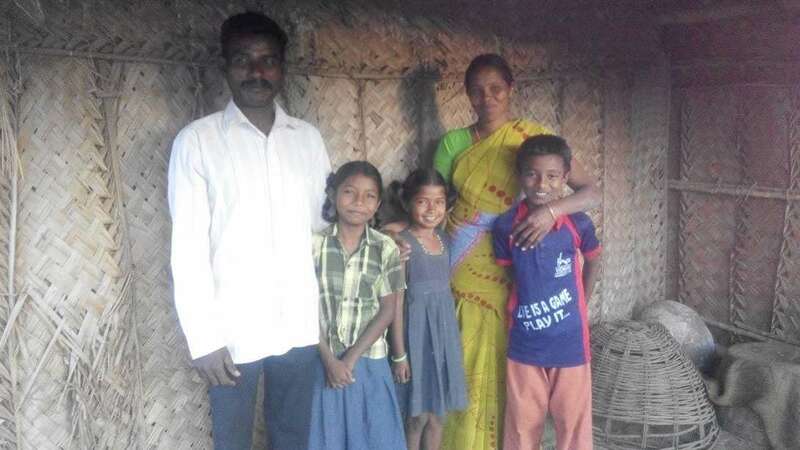 His three children, Vedha Shruthi (10 years), Dharanika shri (9 years), Nitharshan (8 years), otherwise living in utterly impoverished conditions, are studying in the school. 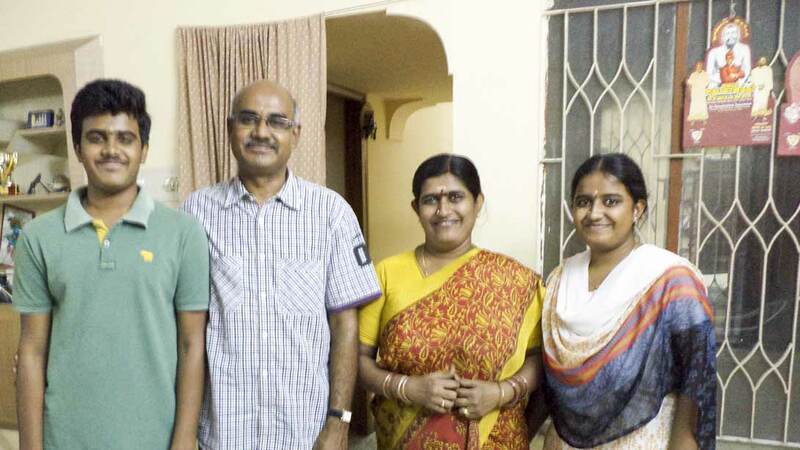 “I felt so proud when my daughter spoke to you in English,” said Thilaga, Kumar’s wife. Though Subramani (57) had quit drinking, years of excessive alcohol consumption and inadequate diet had seriously affected his health. He had drifted into depression. Upon some recommendations, Isha Volunteers encouraged him to work for Isha Vidhya. Within a year of joining the school in 2007, his health improved considerably, and he is now a sincere and proud security staff of the school. He lives in the neighboring area with his wife. “Kartik, who is on full scholarship, is my best friend. I came to know him while I was helping him out of his depression after his father’s death. Actually among us, we are not even aware of each other’s economic backgrounds. I feel schools like Isha Vidhya that bring children of any economic background together in a harmonious way, should be supported and promoted” stated Janardhan, son of a principal of Government High School, while talking about the perils of economic inequality in our society. 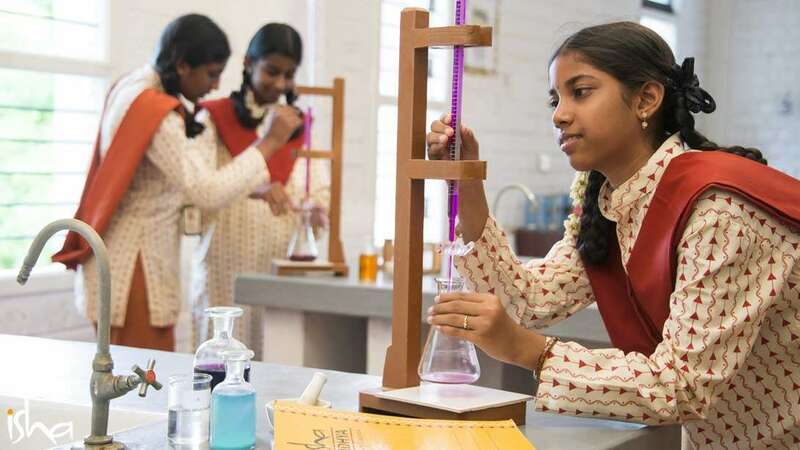 As Isha Vidhya didn’t have the permission to start the 11th grade in time, many students of the first batch of 10th grade had to get admitted in other schools. Since most of these students scored really high, they got admissions in top notch, specialized schools of the district. After Isha Vidhya got the permission, some left their new schools even mid-term to get back, while some continued as they had already paid hefty fees. Says Devi Prasad, a chartered accountant, father of Krishnan, an Isha Vidhya student. Krishna now studies at the best commerce school of Erode. Devi Prasad sends his son to share his study material with the teachers of Isha Vidhya to help the students there get more exposure. Devi Prasad also often visits the school to share his insights on how to combine academics with the business world. He found the teachers and management open to his suggestions and striving to implement them. 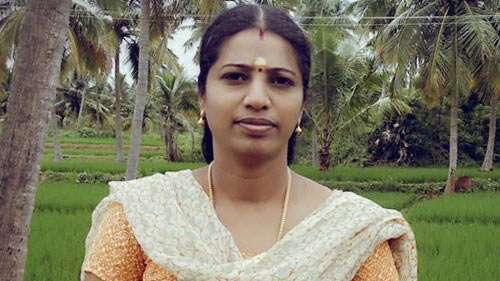 “I had paid high admission fees in another school to avoid him losing a school year, but as soon as Isha Vidhya got the permission, my son insisted to come back to this school, and I also agreed to forfeit the money.” Chandrasekran G, Principal Government High School, Erode. He holds English workshops, pro bono, for the 10th grade students of Isha Vidhya regularly. Upon hearing about the excellent performance of Isha Vidhya 10th class students in the board exams, many parents of children in lower classes brought sweets to celebrate and congratulate the teachers and the 10th class students, shared the principal. Mala and Ramamurthy.M, parents of Akash and Darshini, often volunteer for the school. Last year during the six-month in-house examination preparation period, Mala took charge of scheduling parents to take turns to overnight board in the school. Isha Home School’s Class 5 students spent an afternoon taking a ride – on horses!